It is well known that the aging population is growing, but did you know that by 2025 1.2 billion people on our planet will be over 65? That’s 15% of the world’s population falling into the category of being a senior! That said, people are now living longer and 65 is viewed as being young. That said, this group of ‘new’ senior is focused on ageing in place in their home. Some have done their due diligence and planned how to stay in their home, however many have not. Many children of seniors worry as they see changes in their parent’s memory, function, mood and/or medical conditions. Given their concern they think that a senior living facility or nursing home is the only option; which is no longer true. With all of the great in-home options and new technologies aging in place can be a great, safe and economical option. Moving is one of the most stressful events in a person’s life and stress can escalate changes in your cognition or function. As a senior if you are moving you are likely downsizing and that can add to the tension. The fact that you are aging and there are changes in your memory or function doesn’t need to be a reason to leave your home. You can live stress free and add home care services if you need help at home. Aging in place allows seniors to live a very comfortable life in their homes- where they are familiar with their environment. The freedom you have within your home is quite different from what you will experience in a Senior facility or nursing home. In large communal settings you are required to adjust to their preferred schedule, versus that you are accustomed to. With great technology geared towards seniors at home you can remain as independent as you wish as you age. As an example, you may not be able to drive anymore, but you can now easily coordinate Uber, or order groceries to your door. You can even book someone from Vytality at Home to come to your house and help you prepare your meals, allowing you to do the things that you like and leaving the other tasks around the house to others keeps you independent! You know your community well and many of your family and friends live close to your home. Even if some of them don’t, they surely know where you reside and they can visit you at any time- day or night. Maybe you have volunteered on the community board or have helped with events, you are familiar and comfortable with your surrounding and that means a lot. 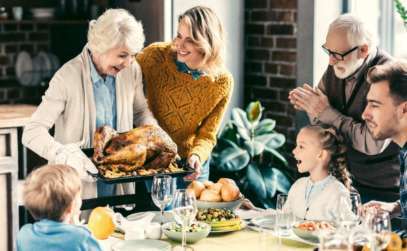 Leaving your close knit community can again create a sense of disorientation that is challenging to regain at an older age. Anyone who has lived in their home for more than a couple years has lasting memories, now imaging having created ten or more years of memories in a home! That is impossible to recreate. Perhaps it’s a small chip in the paint that allows you to recall the time your grandkids were little or the creek in the bathroom door that reminds you of your last visit with a close friend. Having those emotional ties assists in recalling memories that only your home holds. It is recognized that convenience is a big part of comfort, particularly as we age. 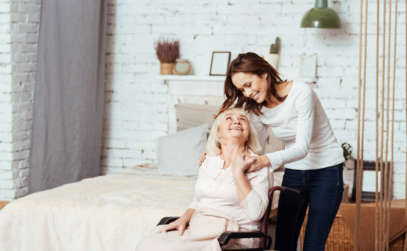 Given how home care services have evolved, they can now coordinate your groceries, pet walks, yard and snow maintenance and provide housekeeping services. Home care services like Vytality at Home, can also coordinate as part of their team having a nurse, physiotherapist, massage therapist, Oxygen support or pharmacist visit you all in the convenience of your home. There is no structure or routine- its about Your Home, Your Care. While most consider health as being the most important aspect as we age, money is a crucial element too. When making considerations about where to live during your aging years, you should also think about the finances. Their are many costs to moving and that is a key reason why seniors want to stay in their home. Especially in a market where home prices have decreased, seniors are unwilling to sell at a reduced rate even if they carry no mortgage and we understand why. If you have challenges physically as you age, there are companies that can modify your home to ensure you are safe and comfortable. Having worked in public and private senior living and home care we understand why Seniors want to stay at home and we support their decision to do so! Moving is stressful, expensive, challenging and in so many cases no longer required! Let us help quarterback your efforts to stay at home as you age safely and happily. Vytality at Home offers the best Calgary Senior Home Care in the city, contact us today.